“Find a penny, pick it up…” and bring it into the QEH Foundation office. 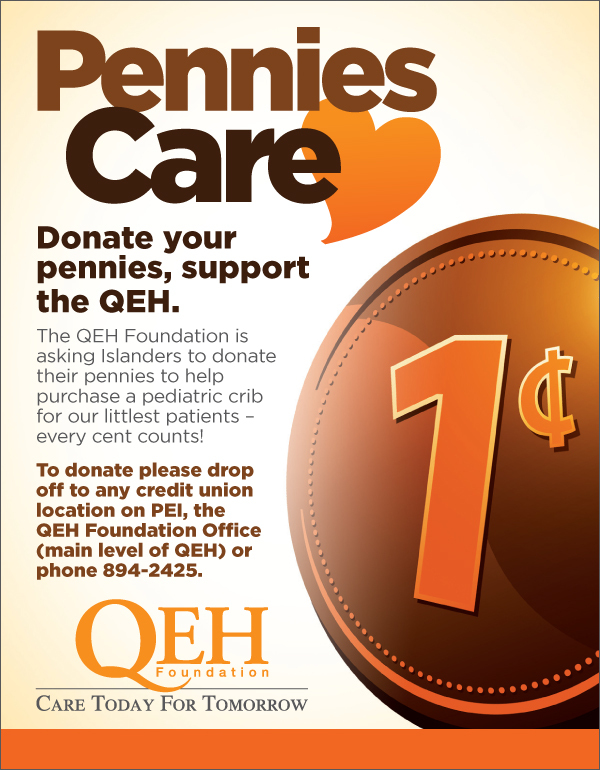 The Queen Elizabeth Hospital Foundation is asking Islanders to donate their pennies to help purchase a new pediatric crib to help their littlest patients. To donate, please drop your pennies to any credit union location across PEI prior to May 26th, or to the QEH Foundation office, located on the main level of the QEH. For more information, please call (902) 894-2425. The QEH Foundation raises funds for medical equipment to ensure the QEH family can provide the best health care possible for our friends and family.